Diabetes is a chronic disease that commonly affects older dogs but can be seen in younger dogs as well. It is a serious medical condition that is not curable but with the correct management, diabetic dogs can live long, happy lives. There are two forms of diabetes in dogs: diabetes insipidus and diabetes mellitus. Diabetes insipidus is rare and results in failure to regulate body water content. Diabetes mellitus is more common so that will be the focus of this article. Diabetes is an endocrine disease that occurs when your dog does not make enough insulin, stops producing it completely, or their body has an abnormal response to it. Insulin is a hormone that is produced by the pancreas and affects how your dog’s body uses food. When your dog eats, your dog’s digestive system breaks food down into various parts, including glucose. Glucose is absorbed from the intestines into the bloodstream, where it travels throughout the body. Glucose is the main energy source that body cells need to operate efficiently. Insulin is required for the transfer of glucose from the blood into the cells so it can be used for energy. Without an adequate amount of insulin, glucose is unable to get into cells which results in the glucose accumulating in the blood, resulting in hyperglycemia. When glucose is not able to get into the cells, there is not enough energy for the cells to function normally and they become starved for a source of energy. In response to this, the body starts breaking down stores of fat and protein as alternative energy sources. Type 1: is the most common form of diabetes seen in dogs and is caused a failure of the pancreas to secrete or make enough insulin to support the body. Dogs with this type of diabetes require insulin injections to stabilize blood sugar. Type 2: is when the pancreas can still produce insulin, but the body cannot effectively respond to it. Early symptoms are the most common signs dog owners first notice with diabetes. If you are noticing any of these symptoms, talk to your veterinarian. You may notice your dog drinking more frequently and filling the water bowl(s) more often. Following increased drinking, you may find that your dog may ask to go outside more frequently, may be urinating larger amounts, and/or may start having accidents in the home due to the need to go more often. Your dog may lose weight even though he is eating the same amount or more. Your dog's appetite might also increase and he may start eating more or appear to be hungry all the time. Advanced symptoms occur when diabetes goes undiagnosed and is left untreated. Early symptoms will progress into the following. You may notice changes in your dog’s behavior, he doesn’t greet you at the door or like to play with his favorite ball, he may be overall less active or sleeping more. His appetite might decrease and he may eat little to no food. His coat might also become oily, dry, thinning, dull, and appear unkempt. Your dog may start vomiting, having abnormal stools, or having urgency when going the bathroom. On top of this, a common complication to diabetes is cataracts. You may notice that your dog’s eyes are cloudy and changes in vision (they are bumping into things, having trouble getting around). He may also develop infections more frequently and being losing weight more rapidly. If diabetes goes undiagnosed and untreated or when it is difficult to control or regulate, a common serious complication called diabetes ketoacidosis (DKA) can occur. DKA occurs when there is not enough insulin in the body to regulate levels of glucose (blood sugar). In an attempt to provide energy to the body, the body starts to breakdown fats. The byproducts from this, called ketones, are toxic to the body. Symptoms of DKA include weakness, immobility, anorexia, vomiting, diarrhea, and in severe cases, abnormal breathing, tremors or seizures, coma, and death. DKA is treatable but it is a medical emergency, so seek a veterinarian and follow their guidelines and recommendations. Poor diet, lack of exercise, some diseases, some medications, and genetics can all contribute to the development of diabetes. It can also occur in dogs that are a breed, a gender, or an age that are already more at risk for diabetes. Most of the time when dogs are diagnosed with diabetes, it is lifelong. The goal of treatment is to control blood sugar levels, stop the symptoms, and stabilize the dog’s weight to prevent the development of complications. In order to do this, your veterinarian will make recommendations about diet, feeding regimen, and start your dog on insulin therapy. They will also need to monitor your dog’s glucose and symptoms by doing routine physical exams, blood, and urine tests. Monitoring is a crucial part for managing diabetes. Thankfully, most dogs can live a long life, despite, being diagnosed with diabetes. With appropriate treatment, which includes a diet and exercise regimen, daily insulin injections, and routine veterinary visits, your dog can be happy and healthy! While there are a handful of things you can do to reduce the risk of your dog developing diabetes, it's not always preventable. It's important to ensure your dog is getting a healthy, well-balanced diet. High quality dog food and dog-safe fresh fruits and vegetables can help your pet maintain optimum health. Ensure your pup stays active. Similar to diabetes in humans, a sedentary lifestyle can increase your dog's chances of getting the disease. Female dogs have a higher risk for diabetes, but some sources say that spaying can decrease the chance for diabetes by helping with hormone regulation. Your veterinarian will run and obtain bloodwork and a urinalysis. 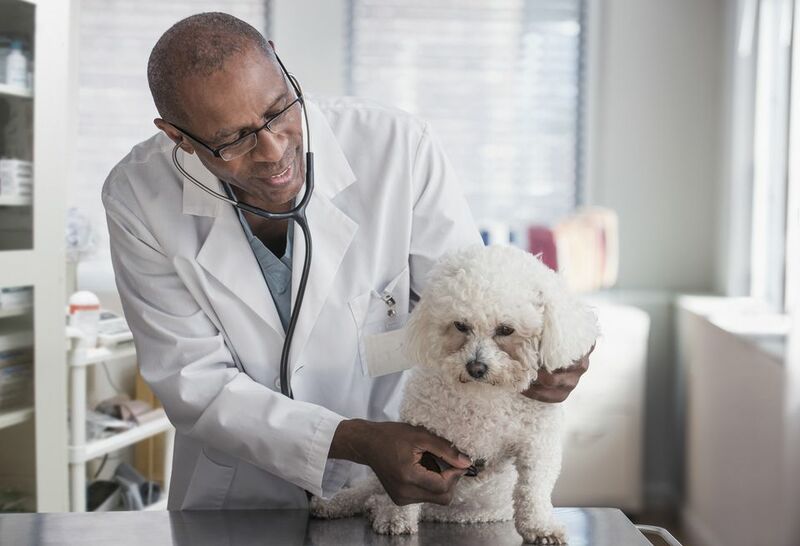 This allows your vet to see how your dog’s internal organs are functioning as well as check for dehydration, the presence of a high level of glucose in the bloodstream (hyperglycemia) and in the urine (glucosuria), and other changes that occur with diabetes. Any dog can develop diabetes, but there are factors that include age, gender, other disease processes, breed, and weight that increase the risk of diabetes. Age — Diabetes is more common is middle-aged to senior dogs. Gender — Females are at higher risk for diabetes especially as they age. Breed — Some breeds seem to experience a higher rate of developing diabetes than others. Breeds believed to be genetically predisposed include the miniature schnauzer, standard schnauzer, poodle, Australian terrier, spitz, Bichon Frise, Samoyed, and Keeshond. Other heath conditions — Cushing’s disease and pancreatitis can increase the risk of canine diabetes. Pancreatitis is inflammation of the pancreas and pancreatic damage can impact insulin production. Cushing disease is also an endocrine disease and it causes the body to overproduce steroids internally, which can cause diabetes. Yin, Sophia Dr. 2010 The Small Animal Veterinary Nerdbook. Davis, Ca: Cattledog Publishing.